The president gets 100 days. You get 90. If you know someone about to take a new job (and in this recession that’s a lot of people), tell them to read The First 90 Days. It’s the best book we’ve seen on the psychology of succeeding in a new organization, and has implications for ongoing management roles as well. Based on your organization’s psychology, you need to play a different game. In a start-up, people are excited but lack direction, so successful managers need to channel energy into rapid but focused execution. Turnarounds require overcoming demoralization. Realignment companies often require battling bureaucracy and denial (“this can’t be done!”) before the organization can reinvent itself. And sustaining-success organizations may sound ideal, but managers will battle complacency. Watkins recounts the story of a brilliant former CEO for Coca-Cola who rose quickly through the ranks, a real numbers guy. Douglas Ivester knew the organization, was named CFO by age 37, was soon COO, and when the top executive suddenly died he seemed the perfect replacement. But Ivester didn’t let go of the numbers, refused to hire a new COO, and reportedly fumbled strategic decisions such as acquisitions and a Coke contamination scandal in Europe. What made him succeed in the past had not prepared him for the future. Ivester erred as CEO, Watkins writes, because he didn’t adapt his past brilliance to the new role’s context. As the world struggles in recession, organizations themselves can change. Managers who have thrived for decades should look around carefully and see if the needs of their team are changing. Is your sustaining-success group sliding into a reorganization, or worse, a turnaround situation? If so, how must you adjust your skills to fit the new dynamic? Organizations are complex things. If you’re stepping into a new one, you better understand your environment. Book summary is here. 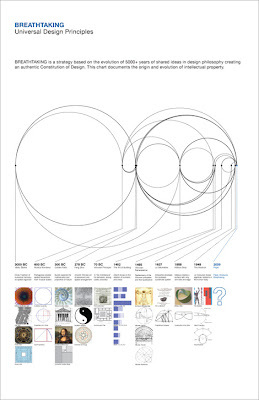 Ad people are chuckling over the supposed Pepsi brand manual now floating on the internet — which compares the logo development with Leonardo Da Vinci’s Mona Lisa, Grecian mathematics and the earth’s magnetic field. But we say bravo, TBWA/Chiat Day or clever jokester behind the brand architecture, because someone had to motivate the company to do something. The lesson here is you have to sell hard to get anything good done. 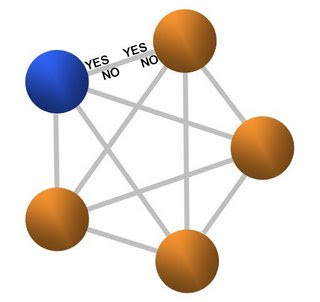 But the network dynamic expands exponentially as you add more decision-makers. A team with only five people has 10 internal debate lines and 40 potential decision points. This is why committees often stall. Given such multiple players, there is never a simple path to consensus — and there is a 39/40 chance in a group of five that the idea will be modified into porridge. The only pathway to brilliance is either a strong leader with vision, or a supporting team that sells an idea way too hard (see: Pepsi brand manual). Gary DiCamillo, onetime CEO of Polaroid, was famous for “80% solutions,” the belief that there is never enough data to prove any initiative will work, so if one is 80% of the way to assurance, why, go ahead and launch. The Pepsi brand document may be a spoof, but it illustrates beautifully how difficult it is to convince a team a single idea has merit. Hey. If a circle worked for Da Vinci, it will surely sell soda. Via This Is Herd and Brandflakes.